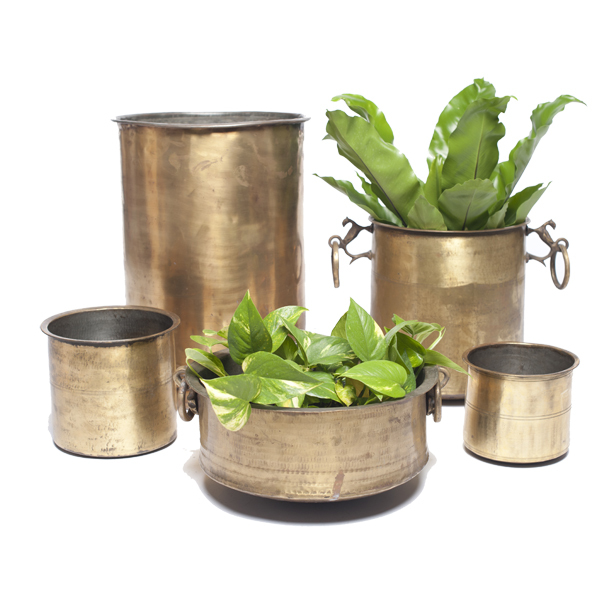 Use inside or out - These traditional vintage Indian brass planter pots are the perfect addition to any interior, and the perfect vessel for a wide variety of indoor plants. The large variety of sizes means that they are perfect for large floor plants, or smaller ones that can be used on a shelf - try them with a trailing pothos. See in-store for shapes and sizing.